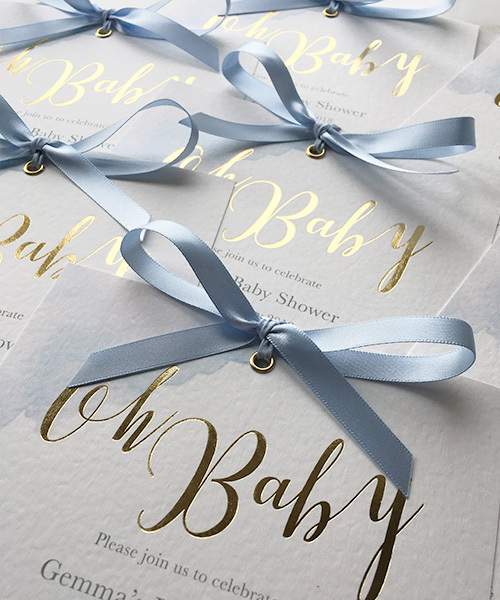 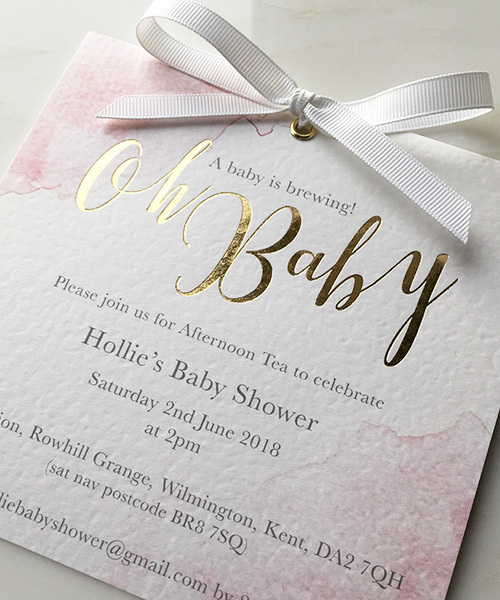 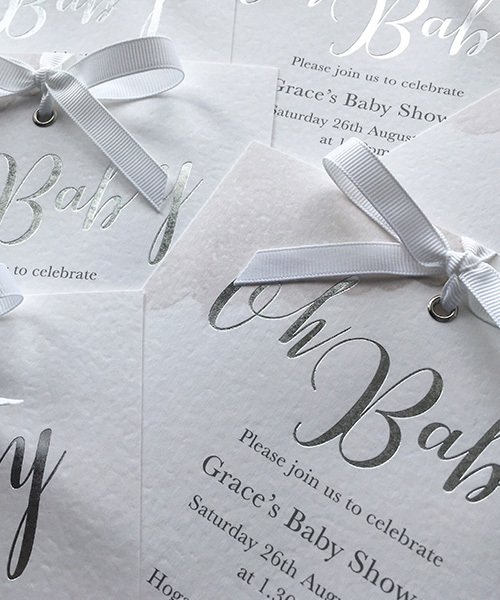 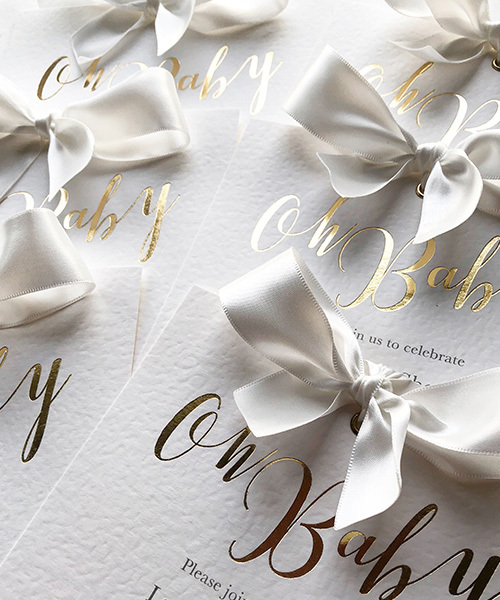 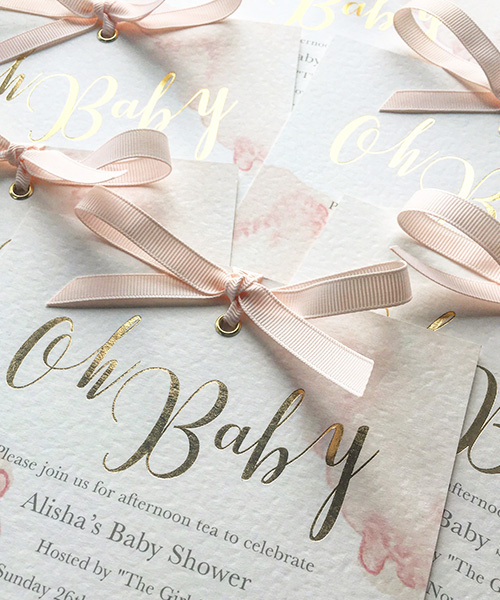 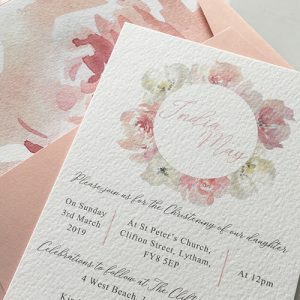 148mm Square ‘Oh Baby’ invitations with eyelet and bow. 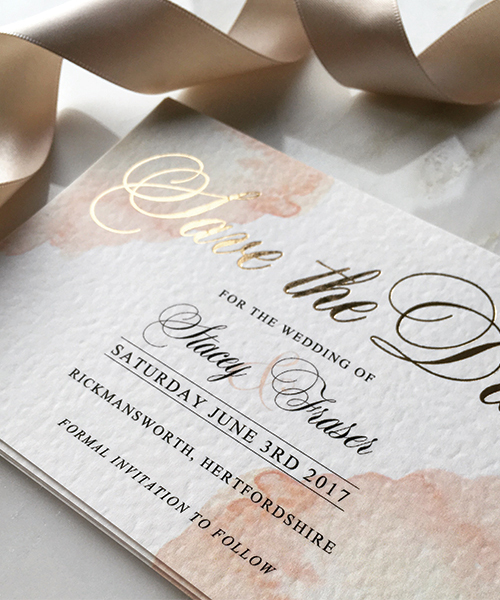 Metallic foiled and digitally printed onto luxury 300gsm textured card. 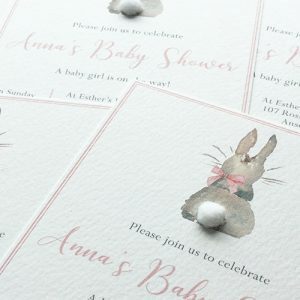 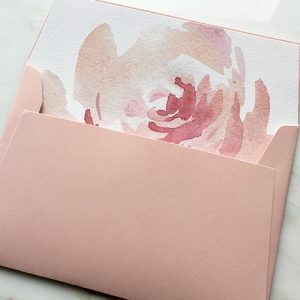 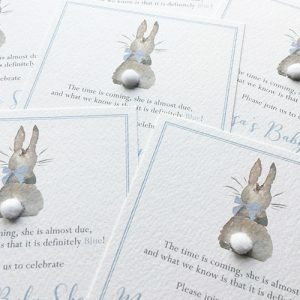 Suitable for Baby Shower, Christening or Gender Reveal Party.